This essay collection explores the concept of human nature and how it influences human perceptions of nature or the environment. Historians and other writers have tended to assume that all humans share specific basic responses to the natural environment. Over time, interpretations of human nature have ranged from rigid biological determinism to subtle and fluid evolutionary ecology. 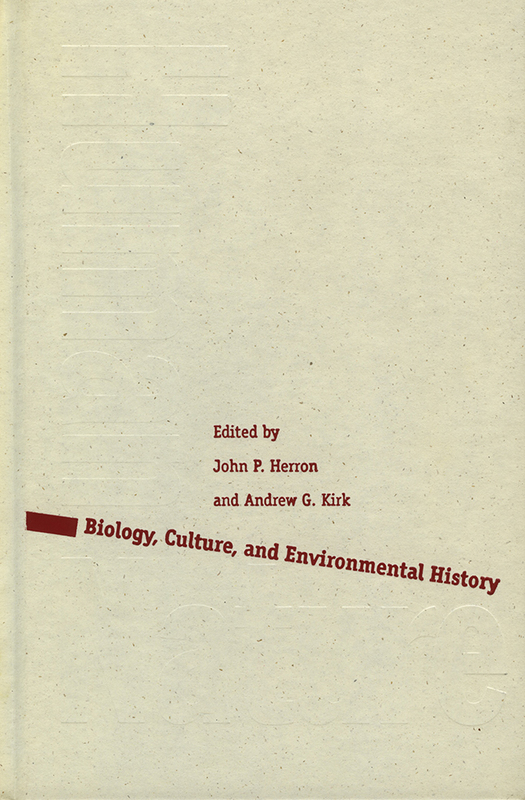 The authors open interpretive doors into how biology, sociobiology, gender, race, culture, society, and other variables shape human discourse on nature and the environment. These essays were first delivered at the New Mexico Environmental Symposium held at the University of New Mexico in April 1996. In addition to the volume editors, contributors are Dan Flores, Virginia Scharff, Vera Norwood, Max Oelschlaeger, William deBuys, and Paul Hirt. Carolyn Merchant and Timothy Moy have penned respectively the foreword and afterword. John P. Herron teaches history at the Universiy of Missouri, Kansas City. Andrew G. Kirk is a visiting professor in the Department of History at Syracuse University.